© 1981 by Charles L. Grant. Originally published in TALES FROM THE NIGHTSIDE: DARK FANTASY . Reprinted by permission of the author. David told himself there was nothing to be afraid of, nothing at all. It was, of course, only the delicious sense of anticipation he was feeling and not the fear that he could be mistaken. No. After all these years, all that pain, all that twisting of what he thought he knew . . . mistaken. No. No, it wasn’t that at all. He was not afraid. He knew he wasn’t. And yet, in spite of what he knew, he vacillated between the very real danger of disobeying his mother and running inside, now, away from the sun. Crazy, he thought. God, if I’m wrong, I’m crazy. But are you really crazy if you think you’re crazy? He grinned broadly, almost laughing aloud, realizing that he sounded like any one of a hundred different characters on a hundred different channels at two o’clock in the morning. Am I really nuts, Doc? I can take it. Let me have it straight. This time he did laugh, shaking his head slowly at his own dark whimsy. And he sighed at the unfairness of it all. Of a life fully nineteen years long that not once moved from a place called Oxrun Station; of a search that could have ended years before if only he had had the wit, the brains, the pure and simple imagination to pursue it; of a girl like all girls and unlike any other he would have to leave behind. If, that is, he was not crazy. Vagrant spears of melancholy light pierced the heavy November overcast and repulsed him, convinced him completely that he was physically agonized. Obsidian eyes squinted, fighting the dim glow that seemed determined to sear from what remained of his soul the memories of shadow—delightful shadow, enticing shadow, shadow that writhed away from the sun, silently screaming. He glared at the sky and despised the way that sun, in behind a gray veil, disregarded his pale, almost ivory skin, reddening it, puckering it, sloughing it off like a leprous serpent and twisting it into a mocking dark brown. He shrank from the light as often as he could, as best he could. But there were his instructions. And to get what he wanted—after all these years, all this pain—to get what he wanted now, he had to endure. Another glance heavenward, and he decided to be grateful for the clouds, whispering a brief and undirected prayer for the added comfort of a light and steady rain. That, however, was icing on the cake. He had his instructions, and he was determined to obey them. And to wait. The time had come. He believed it now; he knew it. The time had come indeed, and there would be no more thwarting the reunion with his friends. Stoically resigned then, he covered as much of himself, of his very long and very thin frame, as he could and huddled by the door on the front porch. He shaded his eyes with a palm when there were no shadows to protect him and grimaced at the occasional brightness of that Saturday afternoon. While he waited he told himself repeatedly—in a liturgical monotone very much like a chant—that it was and it would be worth the small pains, the pricks, the tiny slashes. His mother had been in a remarkably fine mood for some days now, and he did not want her to lose it just when he was drawing so tantalizingly near. He knew that. She did not have to make such a poisonous point of reminding him. But he was pleased that she had because it meant he would probably be able to get it down that night. Or, though he dared not think about it, sooner. She had kissed his forehead, patted his cheek, and he had squirmed with impatience to see her leave so she might return. She had laughed then, like a jackal, and he had pretended to grin. And if she knew he was hating her, she never said a word. So he waited on the porch that faced Chancellor Avenue and allowed himself to daydream a little, plan a little, until he finally relaxed and let the day die around him. He did not mind the damp wooden flooring that was so long unpainted the neighbors were whispering (and a few of them outright complaining), nor the splinters that now and then found their way through his black trousers into his calves and thighs. The small jabs, the momentary stings, were nothing, nothing at all . . . and he concentrated on looking, and listening, and once in a while smiling a death’s-head grin. Ah, Mother, he thought, I can’t wait for you to meet all my old friends. He stifled a short laugh with his fingers, blinked, squinted, and decided that today it was beautiful in the place they called the Station. There was autumn grass slowly browning under brightly dying leaves; the brittle cold air that seemed to make the pavement crisp under the feet of the passers-by who were hurrying to the college’s stadium where the high school games were played; the languid haze of burning piles of leaves; a ragged cloud of starlings that swooped silently toward the scent of popcorn and candy; the clouds. David half-smiled and answered the waves from the cars that sped past with bicolored pompons swinging in time to riders’ cheers and the off-the-beat blasts of horns and whistles. He found the nerve, the quiet and timid nerve, to nod when the principal walked by with his young podgy wife; and he grinned when a covey of girls giggled loudly as they closed ranks against the swaggering pride of boys who followed. A few of them called to him, and he called back, and they disappeared around his neighbor’s hedge without stopping. In school it was because of the load of books he carried; downtown it was because of the way he kept close to the buildings; and today it was football. He could smell it, taste it, feel it in the dull yellow leaf he crushed absently in his hand. It was the season’s last game, and he had to watch the house. The one cloudy Saturday afternoon of the entire season, practically of the entire year, and his mother had told him he had better watch the house. But as soon as bile rose angrily to his throat, he swallowed it with a stern reminder that it had been his choice, after all. He could have easily drifted off to the game with the rest of them and, after a fashion, perhaps even enjoyed himself. It would have been nice. The last game. But in the light—he grinned—of his mother’s unspoken promise and the gathering at last of the nerve and the knowledge, the regret became an unimportant thing. A little thing. Inconsequential. He soon ignored it, and soon it passed. Hate was much better, and the distant scent of power. He shifted, feeling the onset of a cramp in his left foot. He knew he was growing anxious. The afternoon’s voice had faded into the restless rustling of the few last leaves. The shadow of the old house—that might have been called a Victorian had it held a sense of history—the shadow stretched to merge with the trees and the shrubs. The temperature fell. He shivered then and decided to take a short walk to kill the time moving now in a slow-motion race toward a gray and bleak sunset. He stretched carefully to relieve the stiffness that had settled in his arms and legs, bent at the waist to loosen his back. Then he vaulted the railing, wishing Claire had walked by to see him sailing. The ground was damp and pillow-soft; he leaned over to see if it were really as black as he imagined. He moved deliberately, with small measured steps, staring up at each window, envisioning each room huddling beyond, all of them unchanged and most of them unused for as long as he could remember. A late-leaving sparrow was playing in a rusted, canted gutter, knocking frail twigs and clumps of dirt over the side. David ducked away from one of the harmless bombs and laughed. Little bird, he thought, would you come with me if you knew? Probably not. Birds don’t have emotions, and especially they don’t hate. Halfway to the back he stopped involuntarily at one window heavily curtained and streaked with an accumulation of dust-turned-grime. The top half was covered by a screen that was torn and laced with debris the wind had thrown. It was his father’s study. He closed his eyes for a moment to search for a reminder of the time when the family was three, but nothing came to him, not even a voice. He shrugged the effort away. It wasn’t important enough to worry about. For all he knew, the man was little more than a bedtime myth. Or he might be dead. Or he might have run away when he had gotten to know his wife. Or he might be locked in a padded room. Or he might be dead. Might be . . . David shrugged again. Somewhere down the street a telephone shrilled and a woman shouted shrilly. And he thought about the plan, and was cheered. Thought about his old friends, and smiled. Twice, then, and three times he circled the house; twice and three times he huddled on the porch, taking all the comfort he could from the shadows, trying to crouch away from the rising wind’s rush as it hummed through the railing and dragged dark clouds closer. Up again, and this time he stopped in front of the slanting, double cellar doors with the rusted combination lock forced through the latch. His hands were bunched in his pockets, his shoulders stooped. Playmate, he thought, come out and play with me. a little boy inside there, down there in the dark, pale and raven-haired, breaking a fruit juice glass, spilling his ration of milk over a shabby kitchen tablecloth. Often. Too often. A flurry of cloths from the scratched and stained porcelain sink, or an artificial sponge from the cabinet beneath. A storm of yelling, shrieking, commandments to be damned, and his mother who said she loved him would grab his shoulders with strong lovely hands that gripped like talons and squeezed for blood . . . strong lovely hands that would lead him and push him and shove him and guide him to the stairs that led into the empty coal bin, barren woodpile, grumbling furnace, damp concrete cellar floor. He would stumble down the steps through his I’m-sorry-I’m-sorry tears, and her words, and the door, would slam shut and lock solidly behind him. for as long as memory would allow him to go back. home late from his first real date alone with a girl and the smear of lipstick on his chin. the shrieking and the commandments and the cellar door locked solidly behind him. always; for as long as he could remember. David would weep in frustration and rage . . . and the darkness would blacken . . .
. . . and everywhere he went there would be light so bright it would shame the summer sun. They stared at each other without awkwardness, without shifting their feet, without clearing their throats. Then they walked to the front without speaking. As they did, David watched her from the corner of his eye—and the hint of soft rose at her high cheeks, the growing pink at the tip of her stubby nose, made him doubt for the first time the wish behind the plan. He stood silently, facing the sidewalk, while she sat on the bottom porch step and hugged her knees, watching him measure the crawl of the hedge’s shadow into the deserted street. There was the scent of rain in the air. Would it be the same, he wondered; would Claire be the same if she . . . would she be the same? When he had been fourteen and she was living across the street in the English Tudor with the leaded bow window, he had trusted her so much that he’d confided in her what he now understood was an extraordinarily abnormal fear of the dark. He gave her none of the reasons; he just told her it was the dark. She had listened intently, and she had laughed—not at him, however, and that was why he had permitted himself to love her. He had laughed, too, but he had not forgotten. He spent a long time thinking about what she had said and about the cellar doors and what lay down there, and the next night he deliberately smashed a plate while washing the supper dishes—and it was bad in the dark, so bad he used Claire’s name as the worst obscenity he knew. Two nights later, while his mother was watching him from her place at the table, smiling her smile and filing her nails, he broke another—again it was bad, but the screaming was gone. He hefted a rock, waited, and tossed it through the living-room window—the crying dried to sobs. The fourth time—a jam jar, grape, whose stains were still on the floor—was an accident—but now he understood, and now he knew his friends. Claire, he had discovered, only knew part of the answer. Thank you, Claire, he had said each time he greeted the cellar and its masque. She called him Ghost because of his skin; he called her Spot because of her freckles. She had moved to stand directly in front of him, was glaring into his unseeing eyes. He blinked when he saw her, and shrugged an apology. “Daydreaming again,” he muttered, and slid an arm around her waist. She tensed—just to show him that she could not be bought—but let him pull her close enough for him to kiss her forehead. She pressed into his embrace, and he forced his laugh to merge with hers. The sun was almost down, and he was growing nervous. When she poked his ribs, hard, he laughed again and squeezed. The explosive roar of a racing engine broke them apart, but not, he knew, before his mother had seen them. She slid gracefully out from behind the wheel, a large bag of groceries cradled in one arm. She was tall and blonde and warmly lovely, and David’s eyes hardened when he saw her smile. Snakelike. Luring. Claire muttered something under her breath and was already across the lawn and on the sidewalk before his mother reached the porch. Sitting at the kitchen table, his hands moist and pulling nervously at the bottom of his sweater, he recited a detailed account of his passing of the afternoon. He said nothing about missing the last game of the season, however, and nothing about the rug. He tried to keep sight of her eyes, to read them, to anticipate them, but she only smiled and murmured “how nice” every few minutes. Only once did she frown—when he mentioned the temptation to leave the house and wander toward the football stadium. But the moment passed, and all he could do now was wait. They dined, and the sun went down. In the corners of the room warmed by the oven, the shadows hovered and shrank away from the light. The clouds shredded and vanished. The stars rose on the train of the moon. The refrigerator hummed, slightly out of tune. The clouds returned. The rain returned. A single bulb hung unshaded over the table, and the shadows were warm and loving on David’s stiff back. Finally, when he thought he was going to have to beg her like a child, his mother rose and stood by the cellar door, a large iron key resting in her palm. He licked at his lips in spite of himself and gripped the edge of the table as tightly as he could to prevent himself from lunging. Claire, he thought, would you come if you knew? He swallowed. “Yes, Mother.” His voice was years away, to the first time she had discovered he liked the darkness, preferred it. Her laugh, then, and the snake’s glint in her eyes. There was a silence. Only the rain. Finally she nodded her agreement and opened the door. He rose, and for a long moment dared not release the table. When he did, he moved quickly, brushing past her and taking the first step down, waiting in terror for her to summon him back the way she did when he appeared too anxious, eager, desperate, laughing at him with her eyes closed and the key catching the light, and warning him that he would never escape her as the dream-father had done. He glanced up at her and was delighted to see her look startled when he grinned suddenly, broadly, completely without mirth. “Good-bye, Mother,” he said calmly, and he yanked the door from her hand and slammed it shut. Below him there was . . . nothing. He made his way down and stood in the center of the floor, perspiration gathering in ice-runs along his spine, his sides, the inner sweep of his thighs. For so very long he had waited, prayed, planned, and dreamed—and now, suddenly, he wondered. If I’m wrong, I’m crazy. And if I’m right . . .
. . . no more football or sleigh rides or holding hands; no more gropings on the porch or the urgings of his loins; no more Oxrun; no more tests to fail because he would rather talk to the dark than read a book; no more sunlight; no more . . . Slowly, not quite fearfully, he stripped off his clothes and shivered in the clammy sheath that rose through him from the soles of his feet. No more teachers who yelled . . . He swallowed. He listened. And when he finally understood that he wasn’t crazy after all, that he knew he really knew and it wasn’t so bad not to be crazy . . . when he understood it and believed it, he lifted his arms wide to feel the warming black air, smiling, loosening every muscle and nerve and cell and thought and dream and prayer and sight and scream; he believed, and he believed and felt himself drifting, sailing, floating . . . felt himself grow and shrink and lift and swirl. No . . . more . . . Mother. And in time, in a very long time that was no time at all, he learned at last how the shadows in attics and cellars and dark empty closets were born and survived. He studied his clothes lying in a pile on the damp concrete floor. He learned the difference between a nightmare and a wish, a death and a dying, November gray and December black. He learned that his old friends were true friends indeed. He learned that Claire, despite her teaching, was no friend at all. So . . . he waited. And in time, in a very long time that was no time at all, the door at the top of the stairs opened. The light still burned in the kitchen, and he saw from every dark angle the dark figure at the threshold. “Davey?” A snake-word. He felt himself smiling, and wondered if he could. Claire, he thought then, it’ll only take a minute. His mother hesitated a moment longer before following her elongated shadow down the stairs, paused before leaving the path of dim light and hurrying toward the furnace at the far side of the room. Her heels struck the floor like the burr of a rattler. “Hey, Davey,” Claire whispered from the kitchen. The silence. Not even the rain. She spun around just in time to see the darkness gather to blacken the light and bury the stairs. To swallow the coal bin, the woodpile, the furnace, the door. Her scream was cut off before it reached her blackening lips; her eyes were closed before she dissolved. A . . . breathing. She knew, he thought, and there was always the chance that she might remember. The darkness moved, and the kitchen light died. Charles L. Grant (1945-2006) was the author of numerous novels and short stories, both under his own name and a variety of pseudonyms. 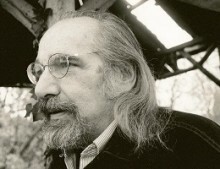 During his career, he appeared frequently on awards lists as a nominee, and won a number of awards, including multiple turns as a winner of the Nebula, the World Fantasy Award, and the Bram Stoker Award. 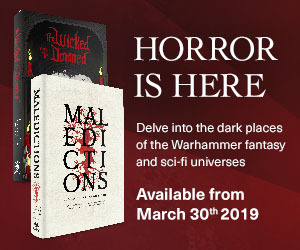 He also edited over twenty anthologies, including the long-running Shadows series, which in 1979 won the World Fantasy Award for best anthology. His website can be found at charlesgrant.novelhost.net.